I am the Senior High Band and River Hawks Marching Band Director and teach Intro to Guitar. I am also the Technical Director of the Auditorium and the Music Department Chair for Armstrong School District. I have had a varied teaching career in the Armstrong School District over the past twenty-two years. During that time, I have served as Director of Choirs, Musical Theatre Director, Performing Arts Center Coordinator, Lighting Designer, and Assistant Band Director at Kittanning High School; Director of Bands at Kittanning Middle School; Director of Bands/Elementary Music Teacher at Shannock Valley Elementary and Director of Bands at Ford City Jr-Sr High School. I am a graduate of East Brady High School and hold a Bachelor of Fine Arts in Music Performance (Tuba) and Music Education Certification from Carnegie Mellon University. 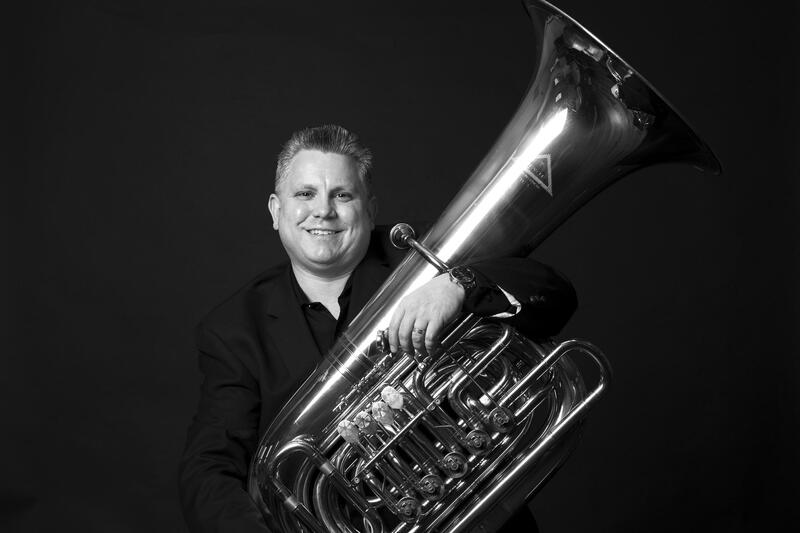 I am the Tuba and Euphonium Instructor at Grove City College and an active musician playing Principal Tuba for the Butler County Symphony Orchestra; founding member and manager of the Armstrong Brass Quintet; Windsor Brass Quintet; and I play Bass Trombone in the Gibbons Big Band. I have performed with the Pittsburgh, Altoona, McKeesport, and Wheeling Symphony Orchestras and freelance throughout the Pittsburgh area. I am also the Music Director and Conductor of the Kittanning Community Band, a community band with members from 9th grade to age 85 that performs throughout Armstrong County. I consider myself blessed and grateful for the beautiful people I have met and the wonderful opportunities and rich experiences afforded to me through music and music education. I reside in a log home in the woods with my wife, Melissa, daughters Stella and Anna, our Giant Schnoodle, Kuddles, and our cats, Minnie and Buggaboo.